We at The Metal Smithery welcome and invite everyone to be a part of this metalsmithing community! 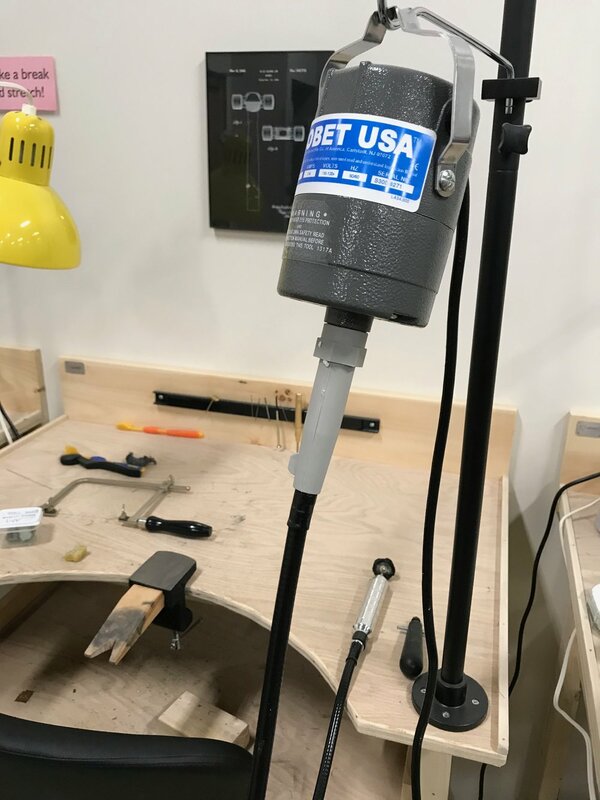 However, to ensure the safety and longevity of our equipment, tools, and the community, we do require that you either take our Soldering & Sawing 101 class or are able to show us how to use the equipment properly and your metal working skills, before you can become a member. Please be familiar with our policies found here. 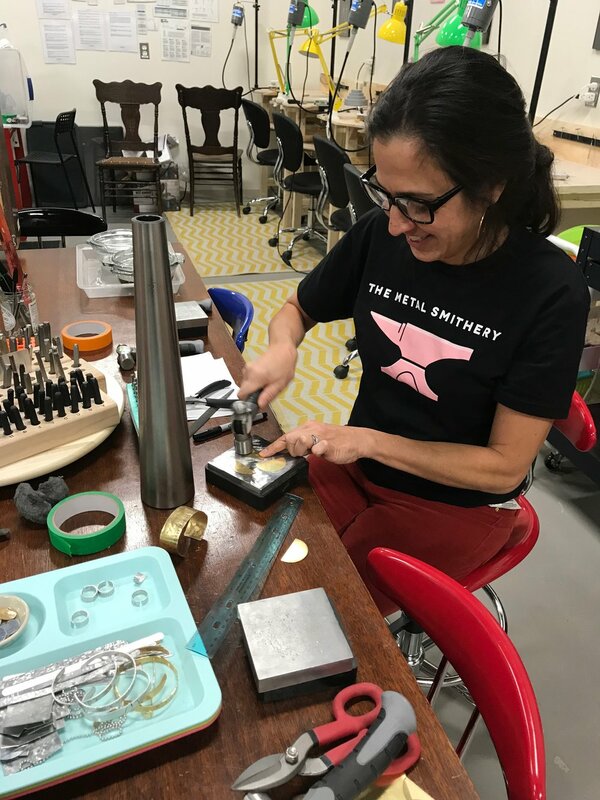 Membership includes: full use of equipment and tools (solder, flux, saw blades, and metal are not provided) during open studio hours, for up to 6 hours per week. A welcome gift of a TMS heavy duty tool tote and sticker, and the use of a locking storage cubby for a one-time fee of $20. You will also receive your own discount code to use at Rio Grande - the major online jewelry supplier, on materials and tools. What do you anticipate using the The Metal Smithery space for? Thank you! We look forward to working with you in this awesome metalsmith community.